Charming and updated 4 bedroom home, situated on a cul-de sac! Inside, you are greeted by vaulted ceilings and a open living room that blends into the eating space and updated kitchen complete with slab granite counters, granite tile floors and stainless steel appliances. 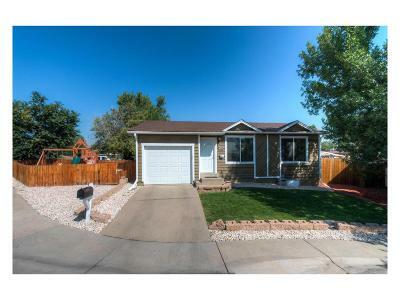 Light and bright with updated windows throughout! Stay cool in the summer with central air conditioning. You will find two spacious rooms upstairs with a full bath and downstairs, a full, finished basement including 3rd and 4th bedroom along with an excellent rec/bonus room in the basement and functional laundry/storage area. Outside, you are greeted by a covered patio with large fenced yard space on both sides of the home including a newer storage shed. Walking distance to Skyview academy, mapleton expeditionary school of the arts and community park! Tremendous freeway access in every direction make this a great value!